from MALANG with LOVE: The names: Burma or Myanmar? The names: Burma or Myanmar? Much of the world, including most international news organizations, still call Myanmar Burma. But the ruling State Law and Order Restoration Council (SLORC) junta has called it Myanmar since 1989. The United Nations (UN) and virtually all governments recognize SLORC’s handle, and it will be enshrined in the new constitution. Local and foreign commercial interests have adopted it as well. And starting this week, Asiaweek will follow suit. SLORC spokesmen are vehement that their name is best for the country. Myanmar Trade Minister says, Burma does not cover or refrect the whole union. 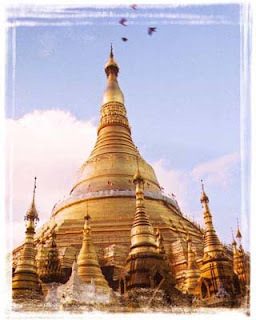 If you call the country Myanmar it will embrace all the ethnic races. However, the many overseas dissident groups have all stuck with Burma, arguing that unelected SLORC had no right to make the change.